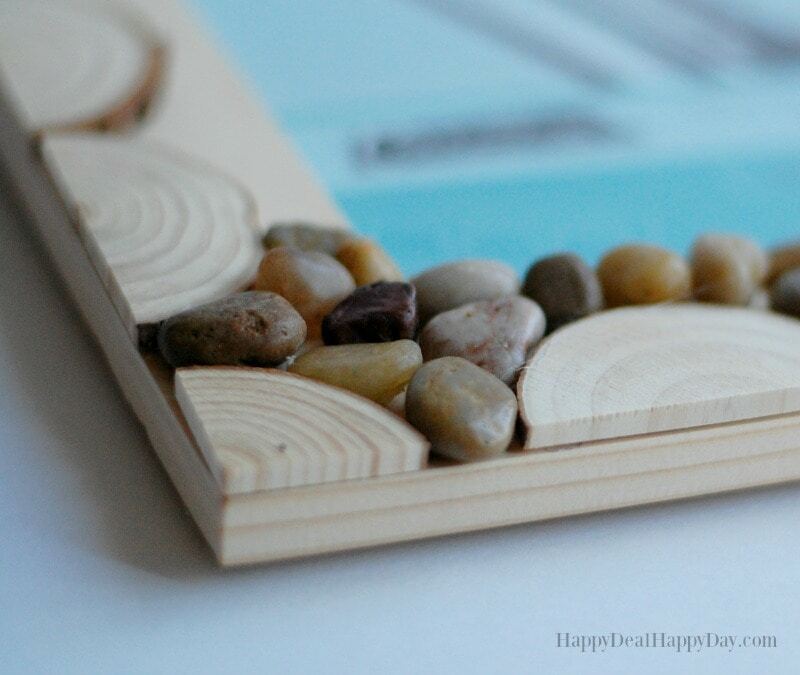 Easy DIY Wood Slab & Pebble Photo Frame | Happy Deal - Happy Day! 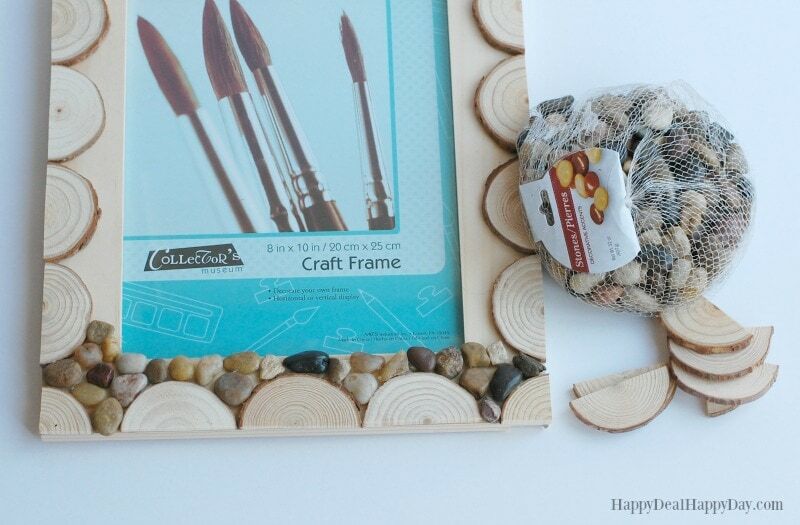 I’m going to show you today how to make an easy DIY wood slab and pebble photo frame. We have been updating some projects in our basement family room, and I’ve made it a “cabin” theme with many rustic decor pieces, including these Mason Jar Wall Sconces and Wood Slab Placemats that I’ve put under some framed pictures. 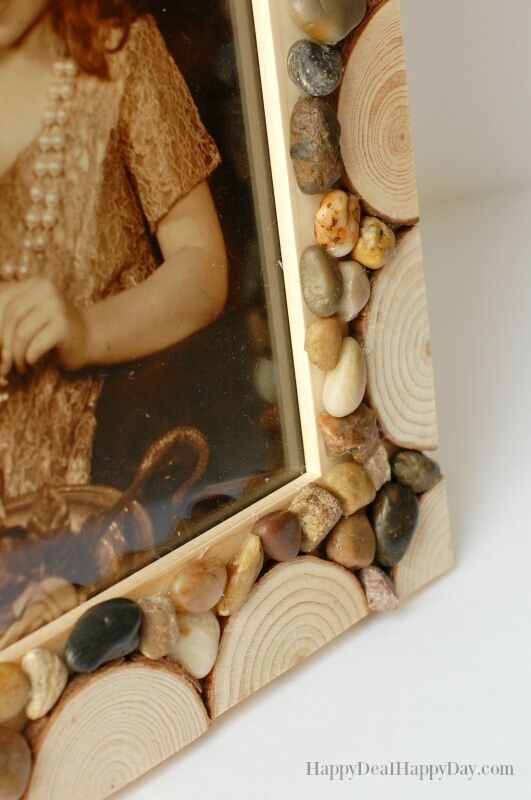 My newest project also used some small wood slabs and create a rustic nature themed picture frame that also incorporates pebbles. 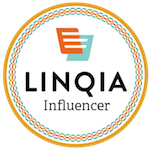 It took me about an hour to make – and it’s really simple to do! First you’ll need to cut your wood slabs in half. My husband used his chop saw to do this. You can also juse a jigsaw. You’ll also need to cut one slab twice so that you get the quarter size pieces for the corners. 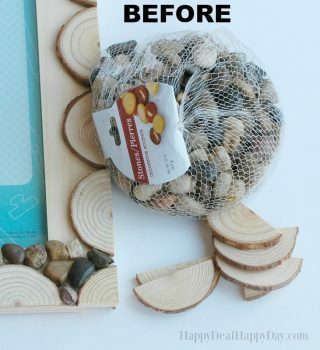 Once you get the wood slab cut in half, simply line them up to the edge and hot glue them down to cover up the outer edge of the frame, I left the natural wood frame unfinished on purpose so that the natural wood color would show through. You could stain yours first if you wanted some more contrast between the wood slabs and the frame underneath. Then with the pebbles – you sort of create a puzzle out of it and fill in the pebbles the best you can to cover the rest of the frame. 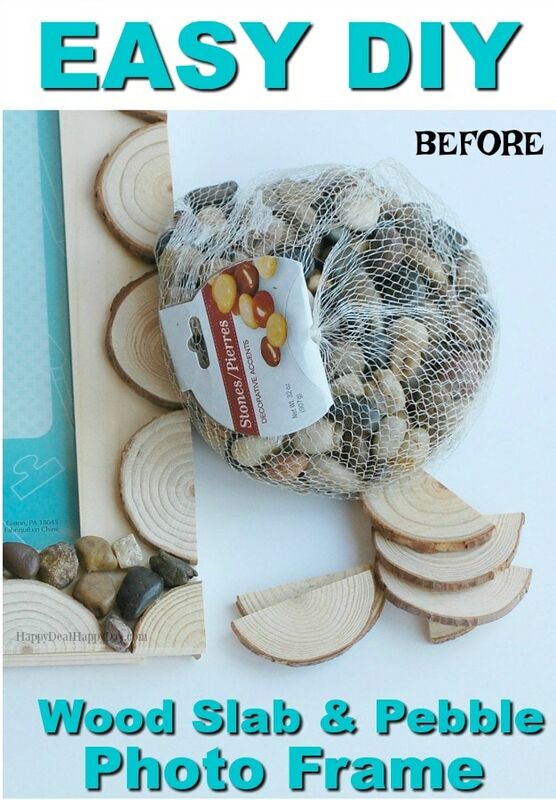 I would lay down a few at a time to make sure they fit right, and then glue them down with the hot glue gun. When you are done, you’ll have “glue gun spider webs” you’ll have to clean up – but then it’s done! Simple! This frame also looks great wiht any sepia toned photos! 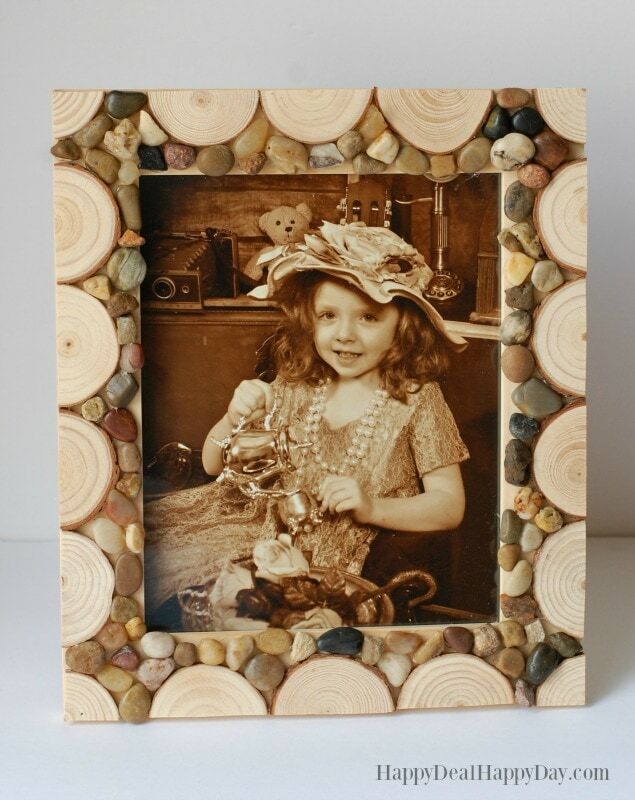 I love how this turned out using an Antiquities photo of my youngest! ← The BEST Iced Tea Recipe!